As a Beatle, Lennon experienced firsthand the weird allure of celebrity. People literally saw the Beatles as saviors with religious powers. For instance, at the height of Beatlemania in 1964, a woman in Australia threw her disabled six-year-old at Paul McCartney, who was riding in an open truck. When Paul handed the child back, the woman wept. "He's better. Oh, he's better!" she exclaimed. And Lennon spoke of his personal unease in having to deal with disabled people during that time. "They would push them at you like you were Christ or something, as if there were some aura about you which will rub off on them. It seemed like we were surrounded by cripples and blind people all the time, and when we would go through corridors they would be touching us." Although attracted to it in the beginning, Lennon came to see celebrity more in terms of its burdens than its rewards. No matter how much time and effort Lennon put into writing and performing, it never seemed enough for the public. Somebody always wanted more. "The bigger we got, the more unreality we had to face," he said of Beatlemania. It's good to have the both of you back." 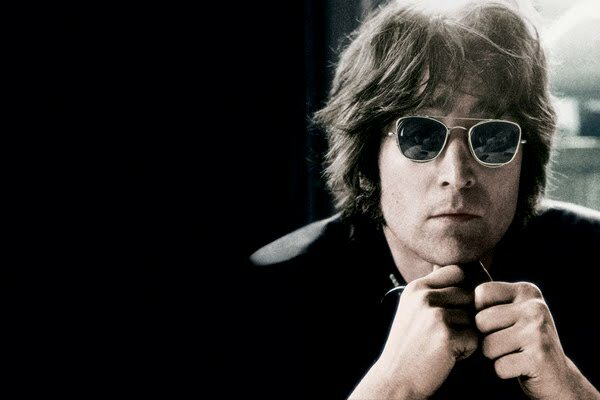 As Anthony Elliott documents in his insightful book The Mourning of John Lennon, Lennon saw early on that being a celebrity not only distorted who he was, it also erased his identity. Shortly before his death, he expressed some of the more personal difficulties that encircled him as an ex-Beatle: "I was stuck in the feeling that one did not--was not justified in being alive unless one was fulfilling other people's dreams or fulfilling my own dreams and illusions about what I thought I was supposed to be which, in retrospect, turned out to not be what I am." By 1980, Lennon had dispensed with being Beatle John. He had thrown off the trappings of his celebrity image. As he said in a radio interview that year, "I'm not putting out an image of this person who knows all." And in his last Rolling Stone interview in 1980: "I cannot live up to other people's expectations of me because they are illusionary." It was the illusion created by celebrity that ultimately killed John Lennon by way of one of his biggest fans, Mark David Chapman. Chapman claimed that he had been drawn to Lennon ever since he was ten years old. He loved the Beatles and grew his hair long, just as his hero Lennon did. Chapman imitated Lennon to the degree that he married an older Japanese woman. He identified so closely with the famous man that he began taping "John Lennon" over his own name at work. What matters is that Chapman withdrew further from the so-called real world and retreated into fanaticism, an idealization of celebrity to the nth degree--a world sustained by imitation of his hero. The burden of the famous is that sense of hero worship that exists outside their control. In their zeal to idealize or crucify, worshippers like Chapman forget that their idol is a human being just like themselves. "They over-analyze facts as quickly as they conveniently omit them," writes Larry Kane in his book, Lennon Revealed. "They define and compartmentalize. All the while their fantasy expectations blind them from seeing--or even seeking--the real ideal." But when and if the real deal comes into view, it can have devastating consequences. Couple that with a celebrity such as John Lennon who, on innumerable occasions, felt compelled to mingle with his fans. Indeed, he would push past police and bodyguards to engage the ordinary Beatlefan--even to the point of signing an autograph for Mark David Chapman only hours before he was shot. "I have to be honest--let them know what I'm made of," Lennon said. "I'm not all that perfect or anything and they have to know that." In a depressed, paranoid state of mind, Chapman read an October 1980 article in Esquire magazine for which Lennon had refused to be interviewed. The article portrayed Lennon as someone who had sold out the dreams of the 1960s and was now a wealthy recluse. For Chapman, the message was clear: Lennon was a fraud, a fraud that the world would be better off without. Chapman the fan discovered that Lennon the celebrity was human like he was and unable to transcend the trials and tribulations of everyday life. Not surprisingly, Chapman reacted with disbelief and disillusionment. The fan felt cheated and swindled. The idea of Lennon severing himself from the illusion of celebrity proved to be too much for Mark David Chapman to bear. On December 8, 1980, Chapman waited outside Lennon's apartment building and assassinated John Lennon as he returned from a late-night recording session. Yet in death Lennon became larger than life. Perhaps no human being in contemporary culture has been written about more than John Lennon. The analysis of his life and times matches the sort of detailed scrutiny usually reserved for the careers of world leaders. Thus, the ghost of John Lennon, the celebrity, haunts us still.